Pottstown, PA – ArtFusion 19464 is proud to announce three free programs sponsored by The Greater Pottstown Foundation that will be running this fall. Kids 8 to 12 can choose between Art Academy and Clay Academy. In Art Academy, students will explore different mediums from drawing to recycled art. Clay Academy gives each student the opportunity to create pottery using hand-building and wheel-throwing techniques. 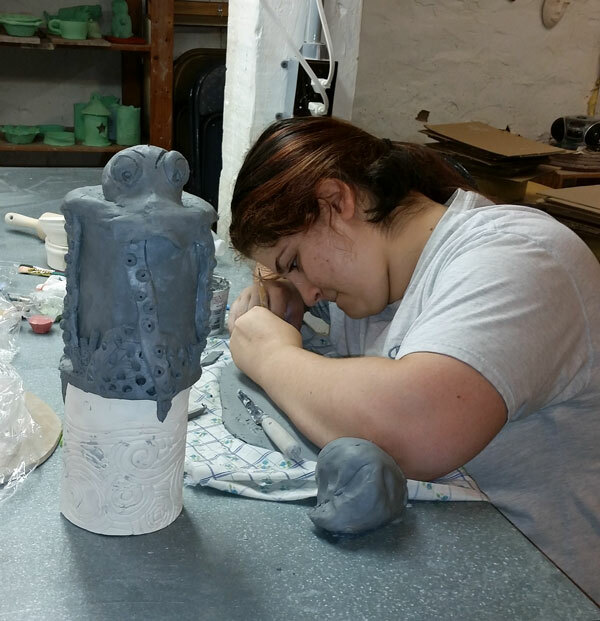 For teen 13 to 17, Teen Clay Studio will give them the opportunity to design and create amazing self-directed projects in clay. The application deadline for these programs is September 30, 2016. Applications can be downloaded at artfusion19464.org/classes/scholarshipsprograms/. Interested parents can also stop by 254 E. High St. to pick up a paper copy. Spaces will be filled on a first come, first served basis. While ArtFusion encourages everyone who is interested to apply, those students who qualify for free or reduced lunch and those who have not attended a free program at ArtFusion before will be given priority. ArtFusion 19464 is a 501(c)3 non-profit community art center located at 254 E. High St. in downtown Pottstown. The school offers day, evening and weekend classes to all ages. The goal of these classes is to help students develop their creative skills through self-expression and independence. 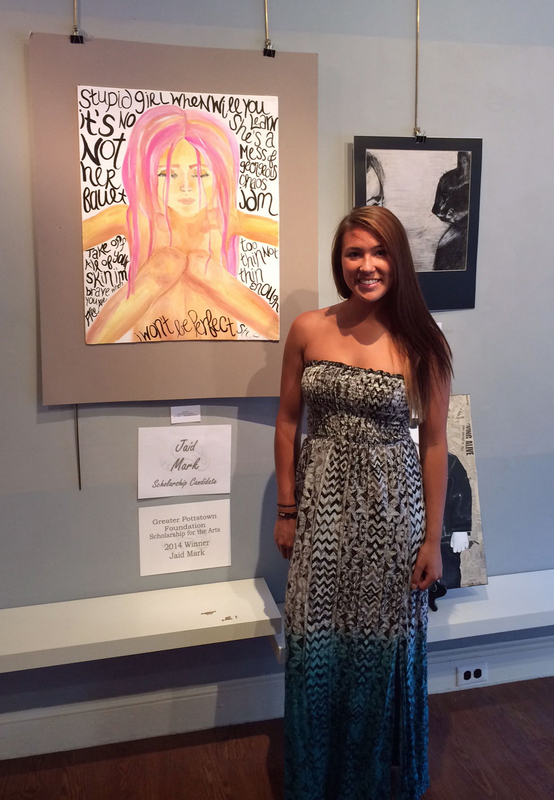 ArtFusion’s gallery hosts rotating shows featuring local artists. The gallery also sells handcrafted, one-of-a-kind gift items. The gallery is open Wednesday through Friday from 10:00 am – 5:00 pm and Saturday 10:00 am – 3:00 pm. Classes do run outside of gallery hours. Pottstown, PA – Applications are now being accepted for the 2016 Greater Pottstown Foundation Scholarship for the Arts. This $10,000 scholarship is designed to financially assist a local high school senior from Pottstown, Pottsgrove, Owen J. Roberts or The Hill School in obtaining a degree from accredited academic institutions of higher learning for study in the arts. ArtFusion 19464 is proud to partner for the fifth year with the Foundation to present this scholarship. Applications can be downloaded at the ArtFusion website (http://artfusion19464.org/classes/scholarshipsprograms/) or sent via email by contactinginfo@artfusion19464.org. A paper copy can be picked up at their 254 E. High St. location. Applications and essays are due by February 29. 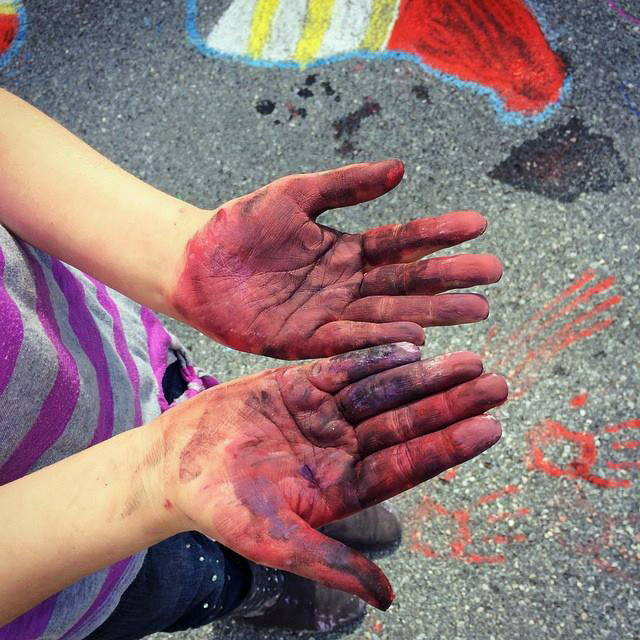 The artwork for the mandatory art show at ArtFusion does not need to be completed until the May 14 drop off date. POTTSTOWN, PA – ArtFusion’s fall session of classes is set to begin the week of September 22. Perennial favorites for young artists like Creative Kids, Crafty Kids, and Teen Studio are back as well as some great new classes like Cartoon Painting and Sew Fun. Adults can also get in on the creative fun with great classes teaching drawing and painting, pottery, stained glass, art journaling and more. ArtFusion offers one day workshops as well as multi-week classes. To see a complete list of classes please visit artfusion19464.org/classes. In addition to their regular class schedule, ArtFusion is very proud to offer five free programs this fall for kids of all ages. Applications can be downloaded at artfusion19464.org/classes/scholarshipsprograms/. Interested parents can also stop by 254 E. High St. to pick up a paper copy. Spaces will be filled on a first come, first served basis. While ArtFusion encourages everyone who is interested to apply, those students who qualify for free or reduced lunch and those who have not attended a free program before will be given priority. Four programs are sponsored by The Greater Pottstown Foundation. 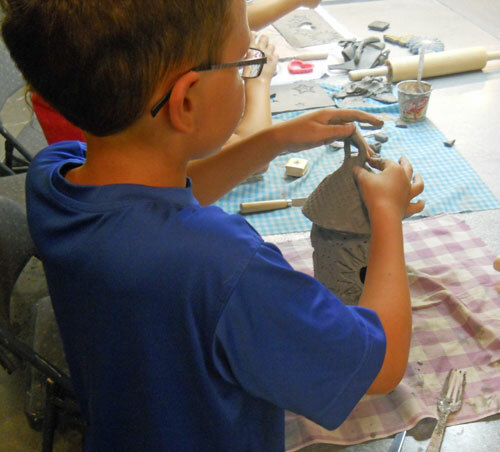 For kids ages 8-12, Art Academy is a general arts exploration class where students work with many different mediums, and Clay Academy teaches students how to create with clay. Thai Language and Art is for kids 10-14 and teaches the Thai language through interactive art projects. All three programs begin Friday, October 2 and run from 4:30 pm – 6:00 pm. The application deadline is September 19. Stretch, Read, Create! is a free program sponsored by the First Presbyterian Church and the Mary N. Porter Designated Fund of the Community Foundation of Broward County. In this fun program, preschoolers 3 to 5 years old and their parent will participate in a short yoga session, listen to a story and then create an art project based on the book. This program is free but they ask that you RSVP to 610-326-2506. There are a limited number of spaces available. Below you’ll find the proposed trail map, letter from the Executive Director (Ken) and both the business and individual donation requests (PDF files). Our goal is to reach $5,000 by March 20th and the only way we will do that is with your help. This is the Arboretum’s first matching funds grant and it would be awesome to start off with a great success. All donations will be matched by The Greater Pottstown Foundation to allow the SAVE Alliance Foundation to provide free after-school and summer outdoor experiences for low income and at-risk youth from the Pottstown area. Not only will the donation help create a first-class arboretum, but it will also go to provide such a wonderful service for the region’s children. We’ve received a challenge grant from the Greater Pottstown Foundation. If we can raise $5,000 for the Althouse Arboretum, the Greater Pottstown Foundation will match it with another $5,000 for special summer programs for at-risk and low income children at the Arboretum. The money will pay for transportation, program costs, and provide scholarships for local student interns to run the programs. Send a check to “The SAVE Alliance Foundation” 35 King Rd. Green Lane PA 18054 and write “challenge” in the memo. At the SAVE Alliance Foundation website. (right off Snyder, less than a mile from the Arboretum)All donations are tax deductible. Our deadline is the first day of Spring, March 20th, 2015. All amounts appreciated! Give your tree a second purpose and drop it off. Local students and Alliance volunteers will be there to assist you. Trees will be chipped by Upper Pottsgrove Township and donated back to the Arboretum to be used on our trails. Friends of the Arboretum is a new group and just getting started. This is where you actually make the Arboretum yours by brainstorming, planning and putting into action what happens in the Arboretum. Students are already busy planning and creating Zen gardens, a children’s forest and a low ropes course. What programs would you like to see at the Arboretum? What events could be held? What’s possible? Come share your ideas. We are looking for community members to become part of the Althouse Arboretum. You can volunteer your time and talent, or if you would like, become part of a community to discuss, plan and work together to make our Arboretum a first-class outdoor destination for the community. POTTSTOWN — The Greater Pottstown Foundation has awarded a $30,000 scholarship to a graduating Pottstown High School senior as the result of an essay he wrote about the impact of growing up and going to school in Pottstown and what it taught him about diversity. The Shandy Hill Scholarship, named after the founding editor and publisher of The Mercury, was awarded to Sage Reinhart. Paul Prince, chairman of the foundation, called Reinhart’s essay “intriguing” in the letter he sent to Pottstown High School Principal Stephen Rodriguez announcing the award.